Jenny shares many wonderful parenting tips in her latest podcast with LDS Perspectives. CLICK HERE to listen. – Work first, play later. “Sometimes we see the reward from working hard and sometimes we don’t and that is okay. Sometimes we get paid for hard work (there is nothing wrong with paying your kids to practice their musical instruments. Parents get paid for working, why shouldn’t kids – for just getting it done). If you are working hard for the church or in service to someone, we get blessings instead of money AND THAT IS EVEN BETTER. – Before Jenny’s mother passed away, she told her children that their dad had her permission to remarry, which (and later Jenny’s new step mother’s love) helped the transition after Jenny’s mother passed away to be smoother than it may have been otherwise. These insights and more are in this excellent podcast. I invite you to listen to the whole thing. Curt leaving his concert with his stand , which was the first chance I had to get a picture of him because the seating in the cafeteria doesn’t lend itself to good photo ops. 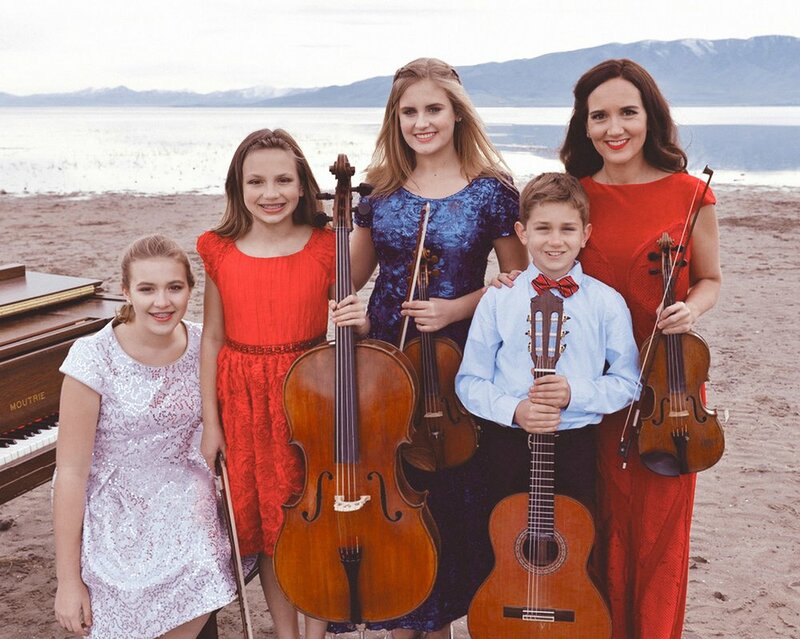 Did you know that each of my children and I play the piano and another string instrument? 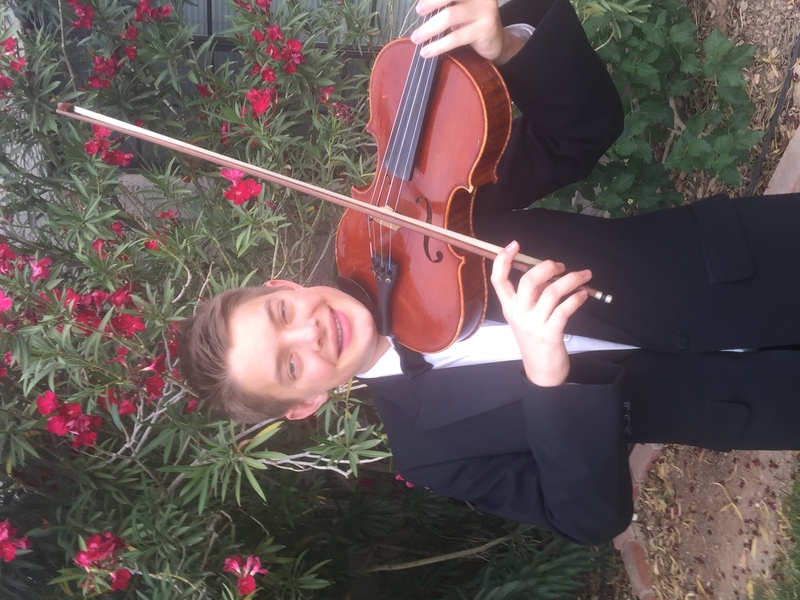 Kay (violin), J.D. (viola), Clark (cello), Adam (viola), and Curt (violin). 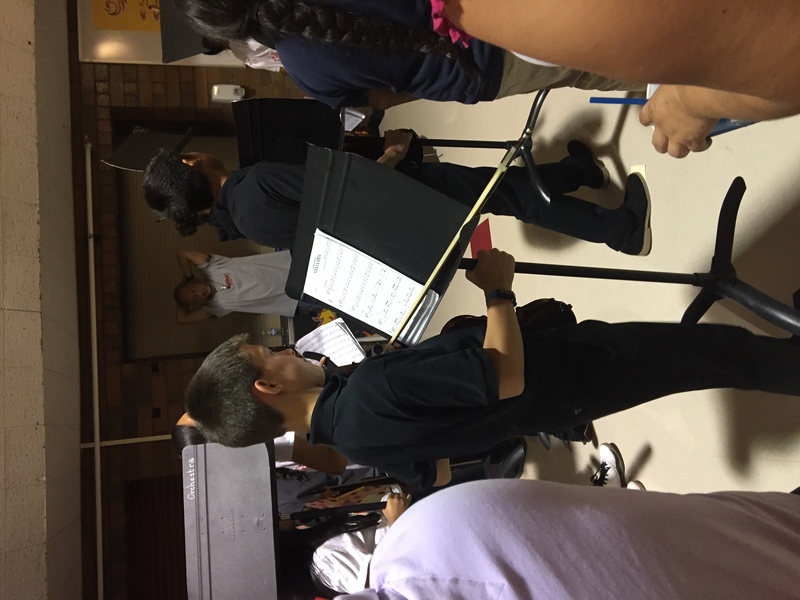 We went to Curt’s middle school Chamber Orchestra concert last night. I was reminded the life changing power good music teachers offer to their students. 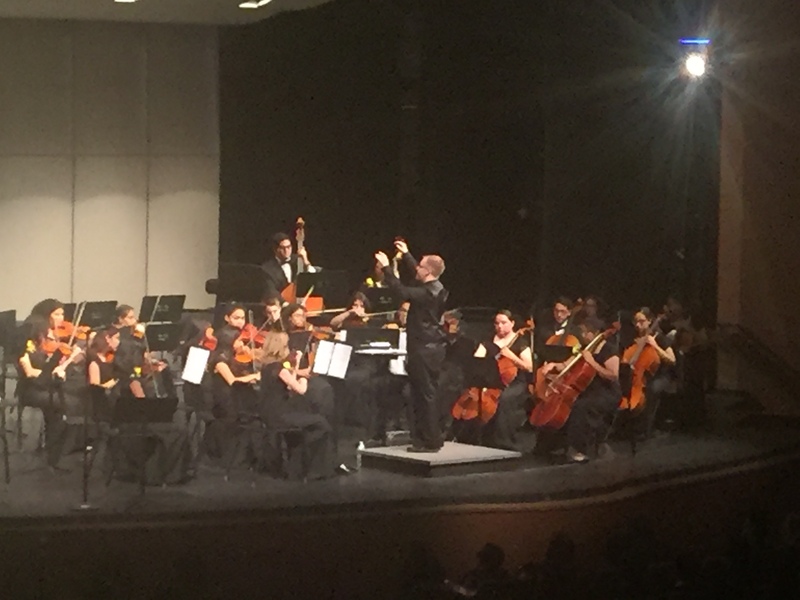 The orchestra programs in many schools have brought places of belonging and love to students of all ages. For my children, we are normal – mediocre musicians. We DO love listening to excellent music. Curt was barely talking when he could request KBAQ on the radio. I LOVE my kids taste in music, most of which is classical. I want to take music excellence into more homes and will start by sharing this LINK with you of Lexi Walker, Jenny Oaks Baker, And Kurt Bestor. I feel emotional many times when directing children musical events or attending musical events including at the performances during BYU Women’s Conference. When I was training to be a Kindermusik teacher I started to cry when I saw a teacher dance with toddlers to the song, “It Rained a Mist.” Children and music go together. I want more of this magic in my life.